Handcrafted in Ireland this delightful Absolute Jewellery bangle is the perfect look for every day wear. 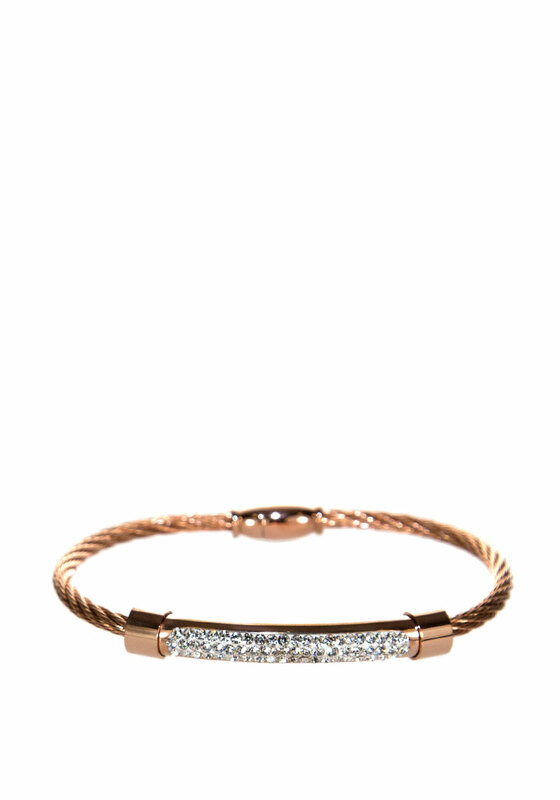 This stunning bangle comes in a rose gold tone finish and details a magnificent crystal embellished front that catches the light with every movement. Its practical magnetic clasp closure finishes off this bangle.